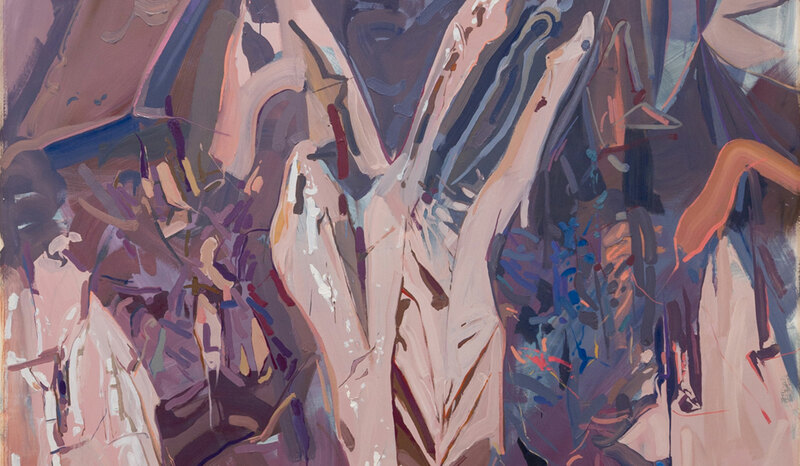 The painted gesture characteristic of the works of Ry David Bradley, the shaped canvas of Daniel Hollier’s meticulous, reductive paintings and the refracted surfaces of Gian Manik are revealing of a range of approaches and ways of painting. Daniel Hollier’s shaped canvases are meticulously made and theoretically and conceptually dense and considered. The articulation of the edge distinguishes Hollier’s paintings. By shaping the canvas into irregular geometric forms, Hollier seeks to liberate painting from its conventional frame – while at times subversively incorporating a version of a modified frame, picked out with colour or texture, or merely suggested by masking, as an integrated element of the painting. Hollier’s ‘sculptural’ paintings engage with the artistic traditions of the ready-made, of hard-edge abstraction and minimalism. 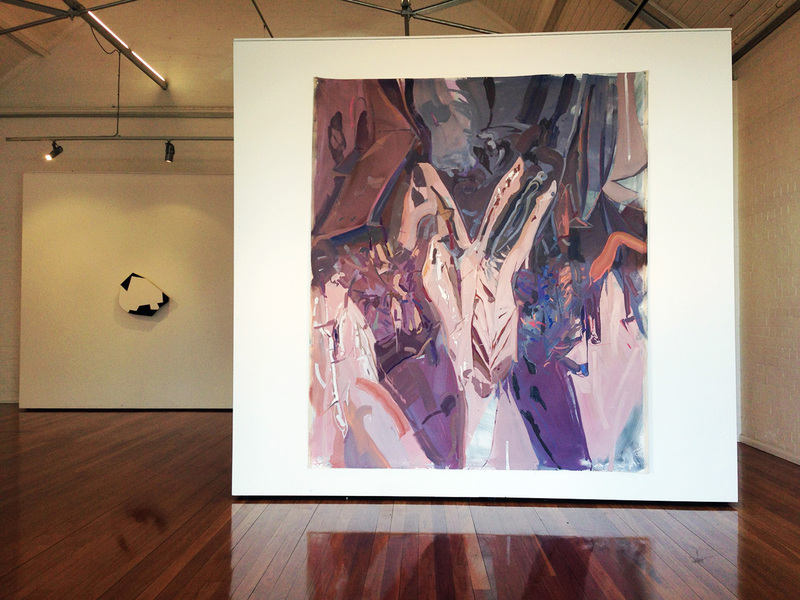 The works are an investigation of painting; of surface, support, colour and the processes and the experience of making. Slowly built up over time using thin layers of paint to create smooth, colour saturated surfaces, the paintings are made using a combination of acrylic, gouache and spray enamel on linen and polyester with cedar timber frames – heightening the relationship between “high art” and “low” materials and the artisan and the artist. Manik achieves this through a coalition of photographs of abstracted surfaces that he then renders true to form. Metallic foil is the source material for Untitled 2, Manik’s large-scale realist rendition of an image of the crumpled foil that he photographs in a range of different lights and translates as an oil painting. The artist describes his practice as an “… attempt to uncover a way to discuss contemporary painting as a tool to re-present the image, rather than to reproduce”.